Termites need to keep warm and moist. So to be able to go out of their nest they build long leads to ensure they are protected from the elements. These leads look like mud trails. Termites build the leads to bridge the gap from the ground up to the house. Commonly you can see them into weep holes in brick homes, or up along the concrete stumps for Queenslander homes. As the termite nest starts to get crowded the queen starts producing swarming termites. These set off to find a new spot to start a new colony. As they are poor flyers they usually don’t fly far, only a few hundred metres. Flying termites are easily identified by having two set of equally long wings. They also have a tanned, yellow colour to them. When a flying termite has found a good spot to settle, along with a mate, it will shed its wings. You tend to find the discarded wings around window sills. 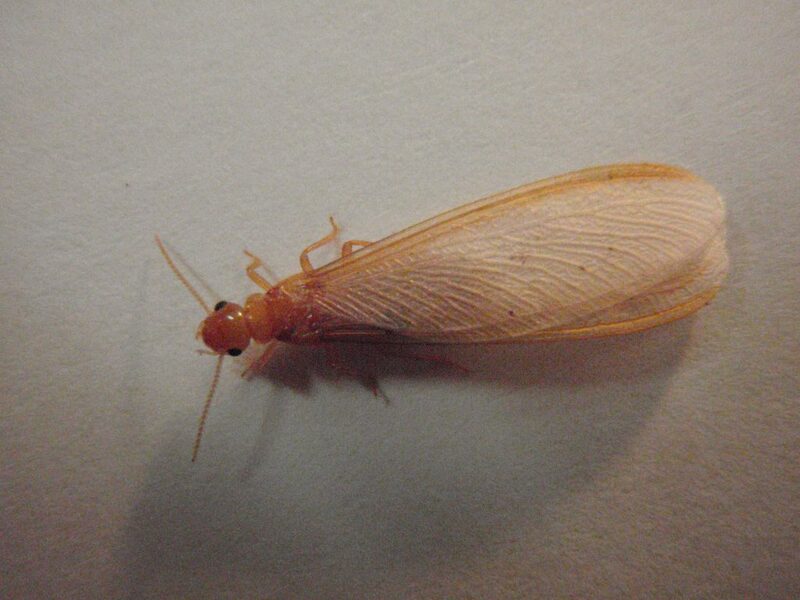 If you find wings in your home it is crucial to take action as the termites are on their way to invade your home. If you look at the photo above, take note that the wings are equally long and yellowish in colour. Because termites work their way through the wood from inside to out it may be hard to see from the outside. But sometimes their destruction makes cracks on the surface. If you wish to take your own inspections a step further you can make your own tool for sounding skirting boards! You use it to see if the wood in your home is solid. Use a handle of some sort, maybe a golf club? Remove the head and put a knocking ball on the end. A golf ball or a timber ball work well for the job. Tap the timber throughout your home and keep your ears peeled for anything which sounds hollow. As termites need moisture, they bring it with them. Does the surface look moist? Any type of leak around plumbing should be tended to immidiatly. 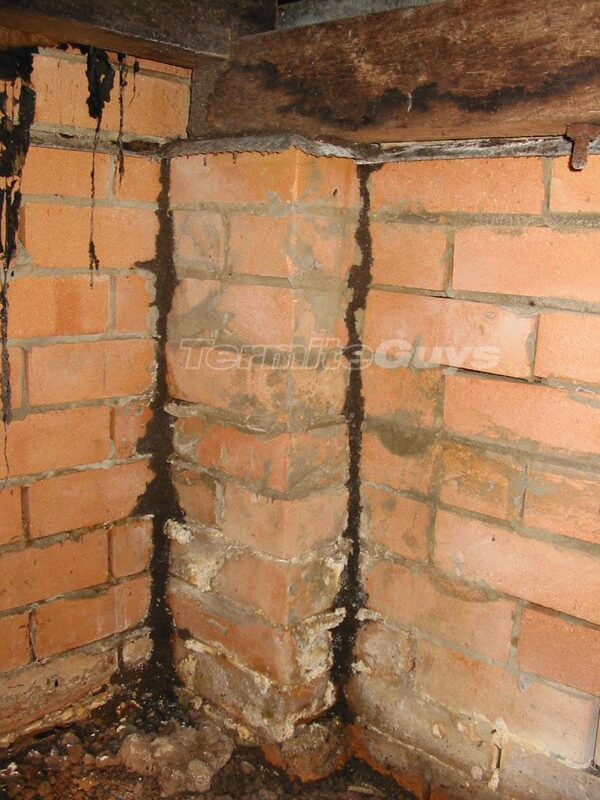 But if the moisture is nowhere close to a drain or tap – it may very well be the work of termites. 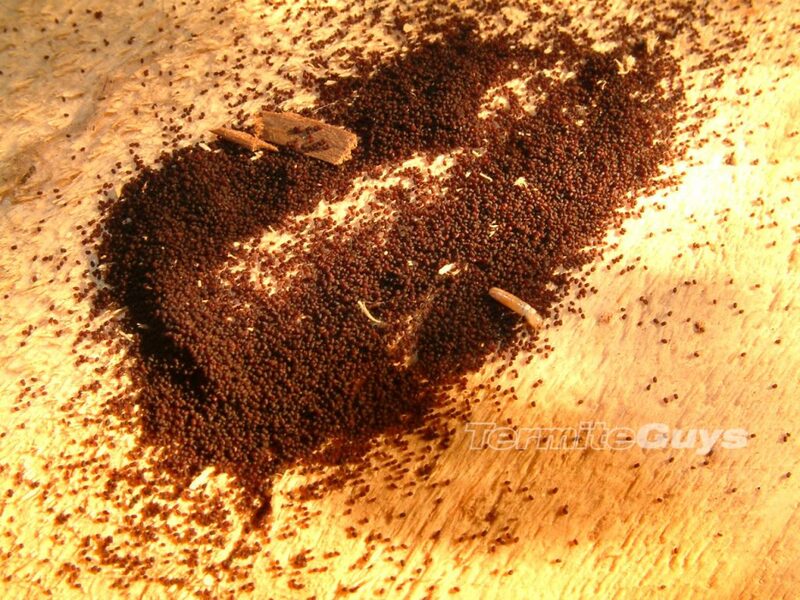 Drywood termite droppings, also known as frass. If what may look a little bit as sawdust piles are forming around the edge of your walls it can be the dropping of drywood termites. This is known as frass in the pesticide business. Drywood termites are incredibly destructive and need to be removed as soon as you see any sign of them. But, the sawdust piles can also be the work of carpenter ants. They can damage your home but not at all to the same scale as termites. Carpenter ants do not eat wood but like to build their home into hollow wood. They remove already water damaged wood and the residue ends up in piles by the entry points of their nest. Read more here. If you hear a tapping sound, especially at night.. It can be termites communicating. You can listen to them if you click here. The noise they make is usually a sign that the termites have already built a nest in your home. They use the tapping noise to alert danger. 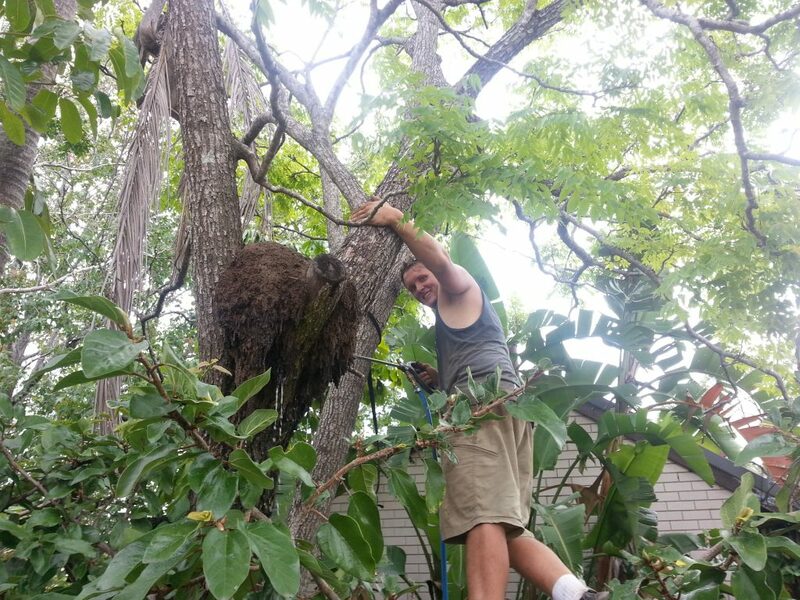 Treatment of an arboreal termite nest. 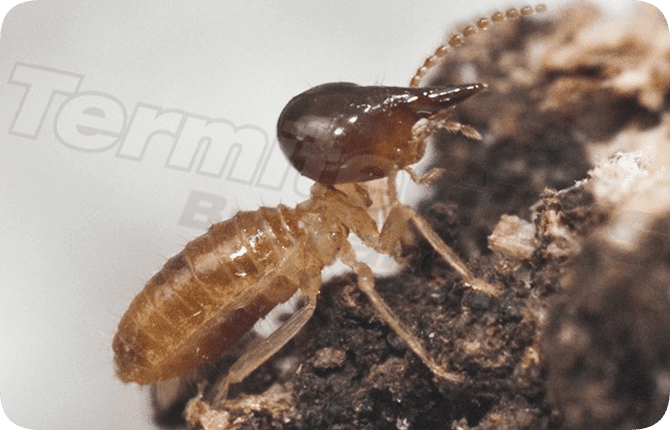 There are a few different termite species in South East Queensland. Some build nests in trees, these are also known as arborial nests. Not all of these may cause you much damage to your home, but some will. It is important to have a professional to identify the species and risks associated with the nest. 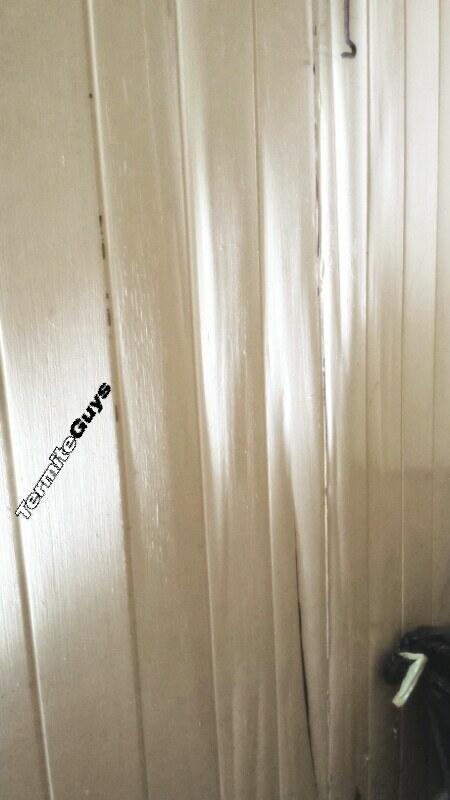 If doors or windows in your home seems tighter than they used to, it may very well be the work of termites. Bulging and peeling paint on interior wall. The termites will leave the paint behind as they feast on the wood behind. As the termites work their way through the walls of your home they sometimes reaches the surface of the wall. This will create tiny small holes in the wall. When they reach the surface and realises that there is no more wood in that direction they will quickly cover the pinhole with a combination of debris, mud and faecal matter. Some other insects also creates pin holes, such as beetles and carpenter bees. Although, they usually do not cover the holes. As mentioned earlier, termites bring moisture with them. The moisture causes the wood to expand and by that tiles to crack, move or come loose. Also a result of the moisture and disruption of the structure in the wood, squeaking floors can be a sign of termites. 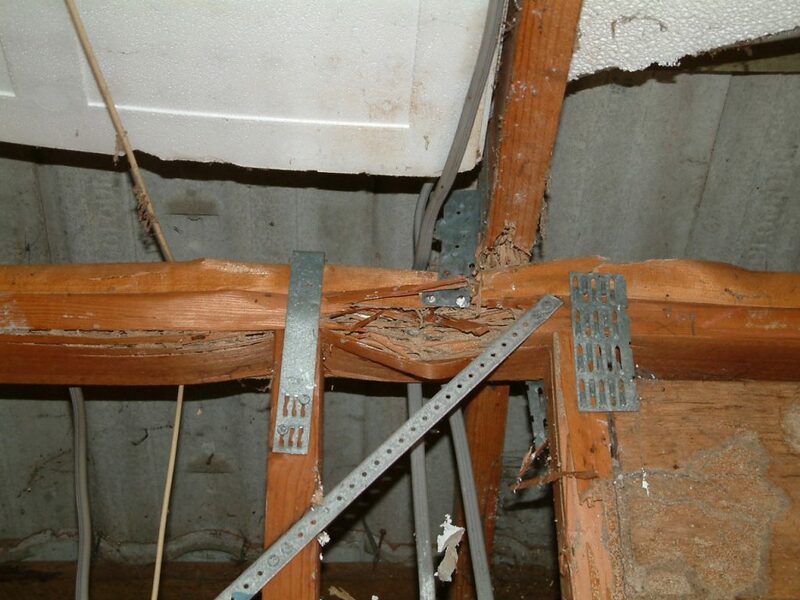 Here you can see a severely damaged wooden beam. Termites have worked their way through the interior of the beam while leaving the surface until the point it was bulging. If you can see piles around the foundation of your home, and notably so if you don’t remember them from before. 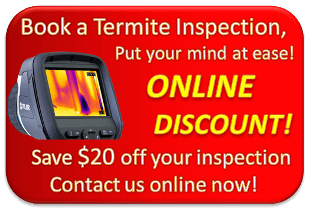 But if you are seriously concerned about the safety of your home, consider a professional to check for termites. I cannot emphasise this enough, especially as a professional will know what to do next. Felicia – the new administration assistant at Termite Guys Brisbane.